We have treasures here at Our Mother of Confidence! 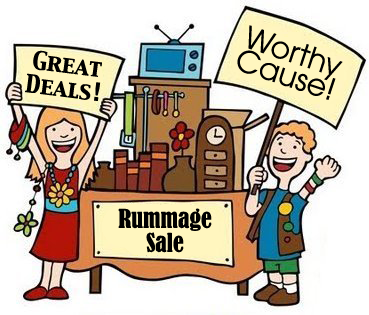 Our annual and very popular Rummage Sale is this weekend before and after all Masses. We have everything from technology to toys, books to furniture. Everything you can think of is here, except for the kitchen sink. Well, maybe we even have that too. Come down to Serra Hall, below the church, and see for yourself. You will be doing a good turn, as every single sale benefits the Religious Education office.